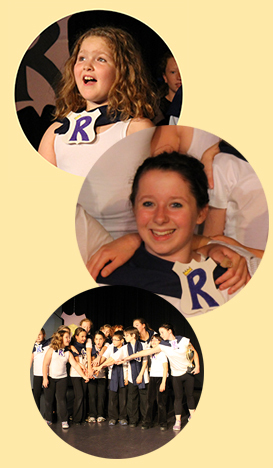 This two-week musical theatre intensive culminates in a full-scale musical, which equally features all participants and their unique strengths and talents. The first few days of the camp will be spent playing trust-building theatre games and honing performance and audition skills. In-camp auditions early in the session will allow for performance experience in a safe peer environment— everyone will learn the same song, and will have the option to audition with a friend if they feel nervous. Rehearsal time will be divided between singing, acting, and dance training, using the script and songs as material. Our two-week rehearsal time mirrors the length of most professional rehearsal periods; our process is intensive but very rewarding. 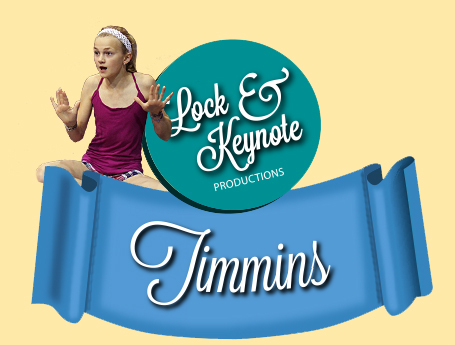 Lock and Keynote is known not only for a professional process but also a polished product; our shows serve as high quality entertainment for the surrounding community. What Does My Tuition Cover? There are many expenses in running a musical theatre camp. Comfortable clothes are a necessity. Suitable items include anything that you don't mind getting dirty and stuff that's easy to move in (example, jogging pants, t-shirts, running shoes, etc.). Indoor shoes are required. Each student will make their own arrangements for snacks and lunch. There will be a break in the morning and afternoon. Lunch hour will be from 12 until 1 p.m. and students are welcome to bring their lunch and eat at the school, or to make alternate arrangements. All activities are NUT FREE. 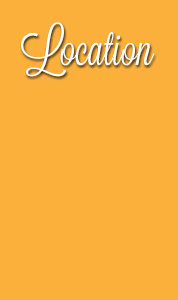 July 15th - July 27th, Monday to Friday, 9 a.m. - 4 p.m.
• Saturday, July 27th at 7 p.m.